BAKERSFIELD, Ca. 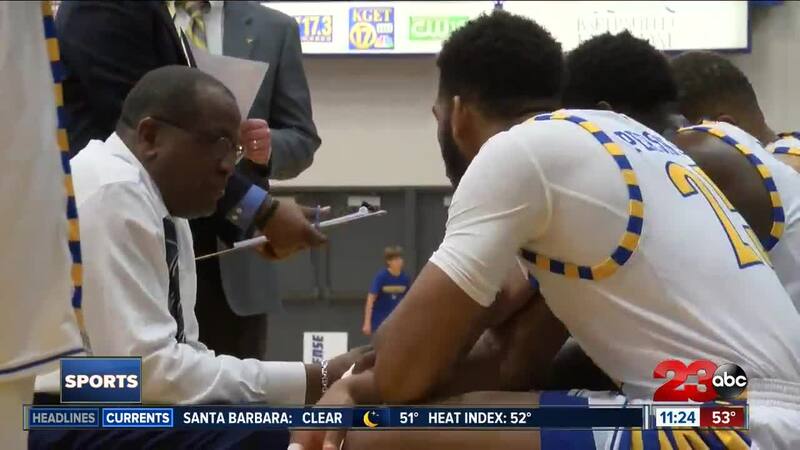 — In a nonconference mid-season game against UC Santa Cruz, Cal State Bakersfield played with hot hands to win big 81-54 and improve their perfect home record to 9-0 on Tuesday night. CSUB hit the ground running in the second half after putting up 42 points in the first. Every player got meaningful minutes off the bench allowing the team to spread the wealth on offense, with Taze Moore sitting out as a precaution for a calf strain. Five players shot in double digits with Damiyne Durham leading the way with a team-high 12 points. 'Runners gained some confidence ahead of a big-time matchup against conference foe, Grand Canyon University.